EXPLORATION: is TiTian’s new initiative to encourage artists to explore and break boundaries (real or mere illusory), which have been constructed or imposed by many forces. Whoever dares to do it is welcome… The EXPLORATION series will be presented every other year, alternating with the Titian Prize exhibition, which will now also be every two (2) years. 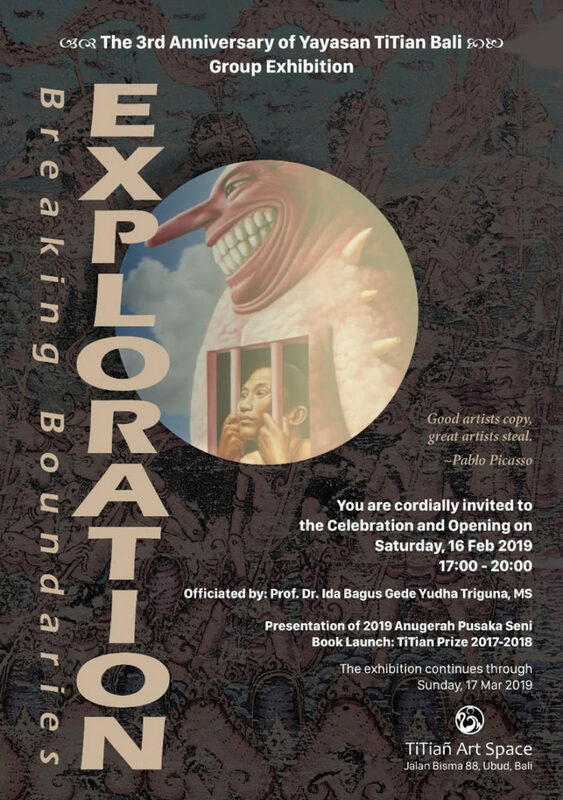 The current exhibition presents the courage of EXPLORATION by child artists, women, musicians and those who have explored new techniques for the Balinese art environment such as Cyanotype, Linocut and works on silk. Cutting across these works is the spirit and courage to experiment and to collaborate and to free ourselves from the virtual boxes in which we find ourselves. 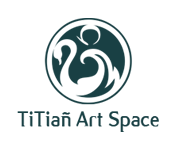 It is our hope that by breaking boundaries, we are free to invent and innovate in the realm of artistic freedom of expression!